Make a bold statement about your relationship with your environment, your love for the ocean and your respect for its inhabitants! 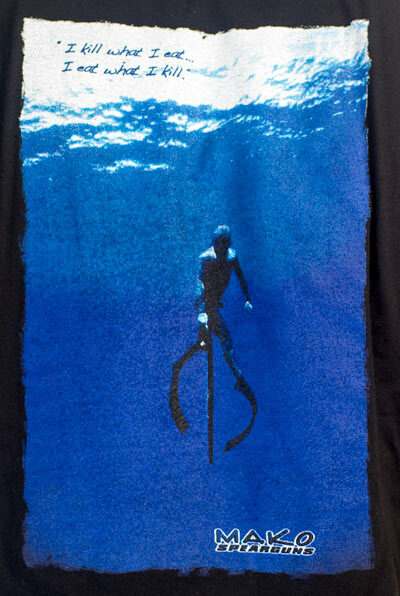 This is the first, in a series of high quality MAKO Spearguns shirts, that send a powerful message about the most eco- friendly way to harvest fish from our waters. 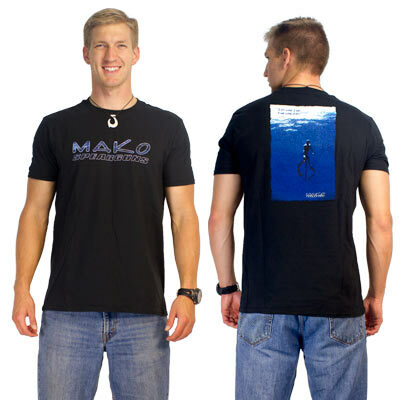 These MAKO Tank Tops have a super “Athletic Fit” cut specifically for a Freediver’s body type. The light weight, style, shape and design of these MAKO Spearguns shirts make them perfect for the beach, the boat, and even your finer restaurants. On the back side of the shirt “I Kill what I eat… I eat what I kill” boldly proclaims your love & respect for the ocean and it's inhabitants. Excellent quality and have had many good comments on it while wearing it.